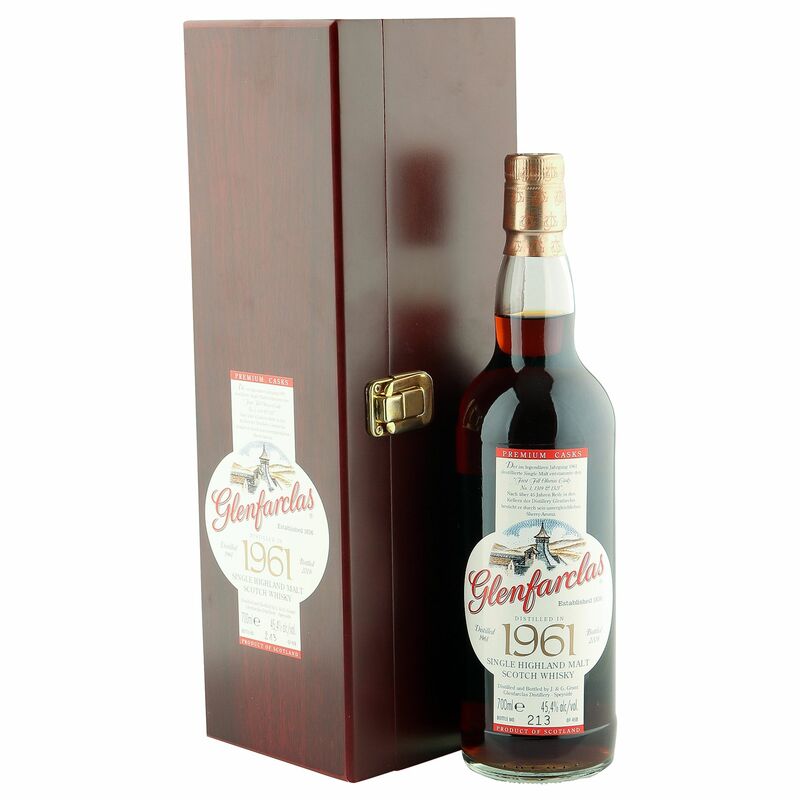 This stunning, heavily-Sherried 46 year old single malt was distilled at the Glenfarclas distillery in 1961 and bottled specially for the German market on the 7th February 2008 under the Premium Casks label. Drawn from first fill Oloroso cask numbers 1 (filled 28/12/1961), 1319 (filled 14/03/1961) and 1321 (filled 15/03/1961) at a natural strength 45.4% ABV. 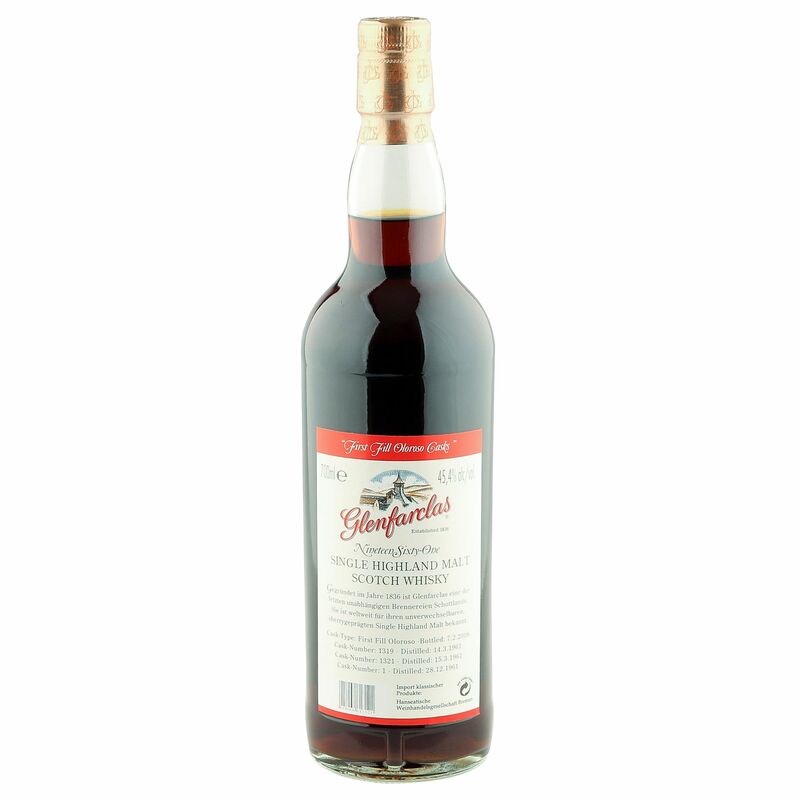 Comes supplied in great condition with fine wooden presentation case and is one of just 458 limited bottlings that scored a cracking 91 points on WhiskyFun.